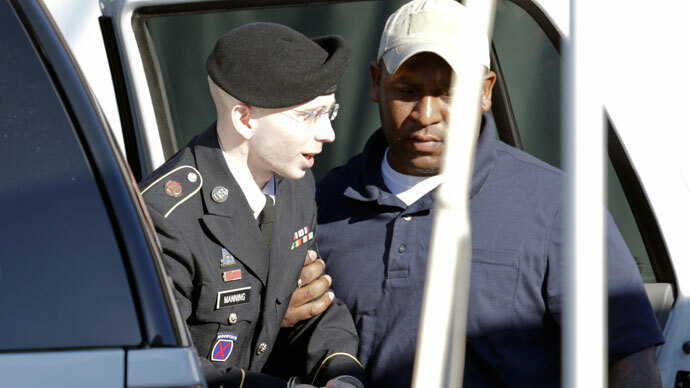 A military judge overseeing Bradley Manning's court-martial has found WikiLeaks tweets, claiming possession of encrypted video, are relevant evidence to the “aiding the enemy” charges the whistleblower is facing. 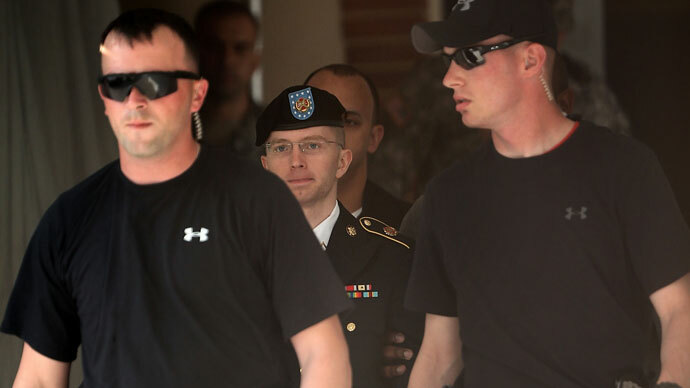 On the 12th day of trial, which resumed at Fort Meade, Maryland, June 26, military judge Col. Denise Lind weighed the admissibility of three pieces of evidence suggesting that an Army private Bradley Manning, 25, accused with leaking more than 700,000 files to WikiLeaks, took his cues from the whistle-blowing organization in disclosing classified information. 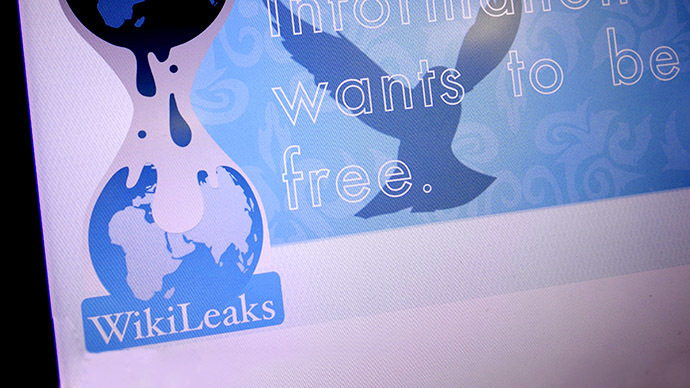 Judge Lind has ruled that two WikiLeaks tweets from 2010 – one claiming to have an encrypted video of US strikes on civilians and the other seeking military Internet addresses – are admissible for Identification. As for another piece of evidence – WikiLeaks’ "Most Wanted" list of items it was seeking from the public, apparently posted in November 2009 on its website - the judge ruled that it is not “properly authenticated”, while it still would be relevant to show Manning’s knowledge of WikiLeaks and its intentions. Manning’s defense team has been arguing that Twitter postings offered by prosecutors did not meet the court's standards. "Anyone can create a Web page...that looks like WikiLeaks or that looks like Twitter," attorney Captain Joshua Tooman said when the government was first considering its case. Back then the lawyer insisted a government investigator had accessed the tweets through Google cache, rather than directly through Twitter or WikiLeaks. He claimed, the evidence failed to meet the test of authenticity since there was no way of knowing what the website looked like when the tweet or page was published. Bradley Manning, charged with 22 counts, faces trial more than three years after his arrest for transmitting 700,000 classified documents to WikiLeaks, what is said to be the biggest US data leak in the nation’s history. 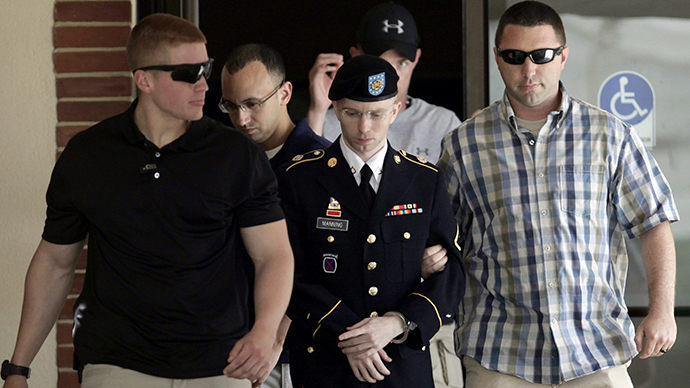 Manning pleaded guilty to charges of leaking information to the anti-secrecy website, which alone could confine him to prison for 20 years, but the US is pursuing further charges of aiding the enemy, which carries a maximum sentence of death.